At first glance voltage transformers appear to be simple devices; easy to choose and easy to use. This may be true if you are looking for converter to be used occasionally, perhaps during a short vacation. However, if you are looking to power anything besides a hair dryer or an electric shaver, especially on a continuous basis, then specifications and reliability should be your highest priority. To help take the confusion out of selecting a voltage transformer we've put together a list of items you should consider when making a purchasing decision. 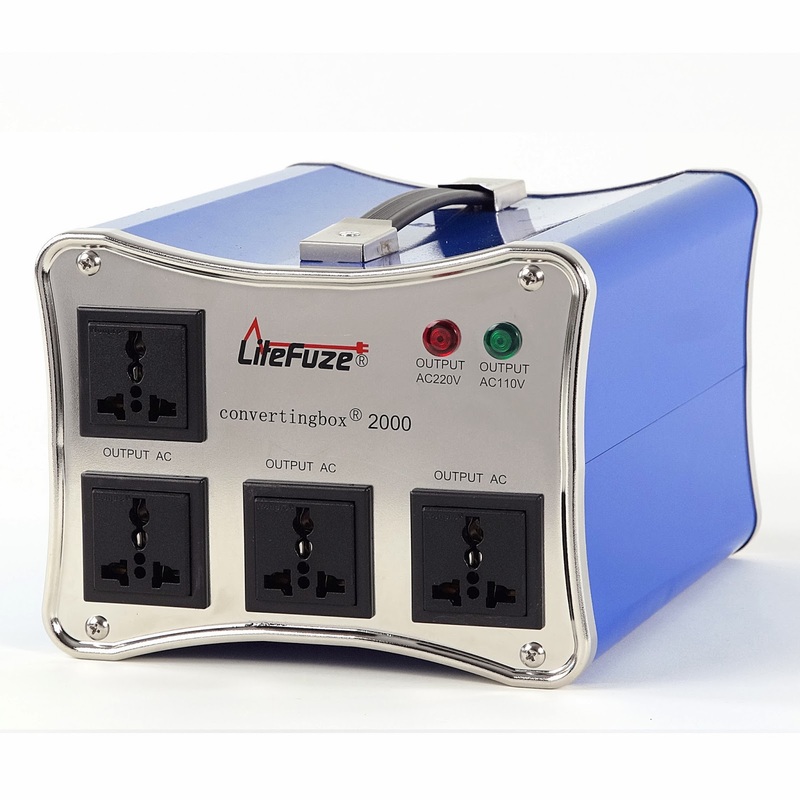 Step down transformers convert the incoming voltage from 220v (or more) down to 110 volts. Conversely a step up transformer boosts voltage from 110v to 220 volts. High end voltage transformers usually include both circuitry in one unit. At the flick of a switch the voltage transformer can run in step up mode or in step down mode. This feature provides the best value and greatest flexibility for frequent travelers. Wattage capacity is the second most important specification (after step up /step down) and is the one most frequently chosen incorrectly. To choose wattage capacity all you need to do is add up the wattage consumption of all the units you plan to plug into the voltage transformer simultaneously. This information is usually found in the back of each unit and is listed as "watts". However, in the event that only an amperage value is listed, simply multiply the voltage of the unit x the amperage and the result is the wattage consumption. For instance, a device listed with a 3.0 amp rating which uses 110 volts consumes 330 watts. Please keep in mind that some devices consume additional electricity when powering up. In the example listed above, the device listed at 330 watts may actually consume over 500 watts for a second or two when powered up. For this reason it's important to leave some "fudge" space to cover that small electrical spike. Most electricians recommend an additional 50% of available wattage above and beyond the sum total of the components you plan to connect simultaneously. In order to protect the devices connected to a voltage transformer (as well as the transformer itself) an emergency shut down mechanism is necessary. On lower priced units fuse protection is used. On higher end transformers a circuit breaker is utilized. A circuit breaker is clearly the better option since it won't require a fuse replacement in the event of a shutdown. An output socket is where you connect the devices you want to run. The larger the voltage transformer, the more sockets it is likely to have, but all things being equal, the more output sockets, the better. Higher end voltage transformers sometimes include built-in universal sockets, such as the U.S. patented universal socket or the European Shucko socket. This is a handy feature since it avoids having to find a country specific plug adapter. With a universal socket you simply plug your device(s) directly into the voltage transformer with no additional adapters needed. Bombay Electronics is a leading distributor of voltage transformers for domestic and international use, including brands such as LiteFuze and Seven Star. Please feel free to contact us and we'll be happy to help you choose a voltage transformer to suit your specific needs.